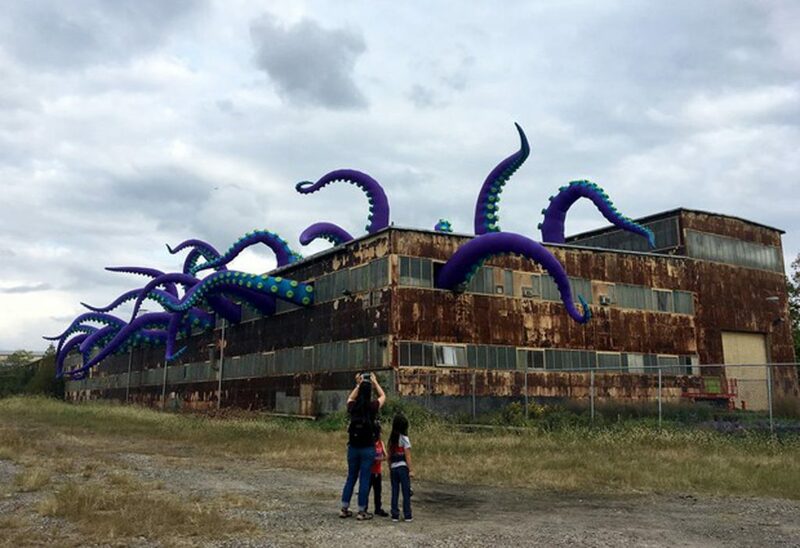 The two, who run the inflatable production company Designs in Air, have installed the inflatable, tentacle structure at Philadelphia’s Navy Yard. The tentacles range from 32ft to 40ft long and look like they are attempting to escape from a 215,000sq ft warehouse. The installation is on display through November 16th, so, if you happen to be in the Philly neighbourhood, check it out!